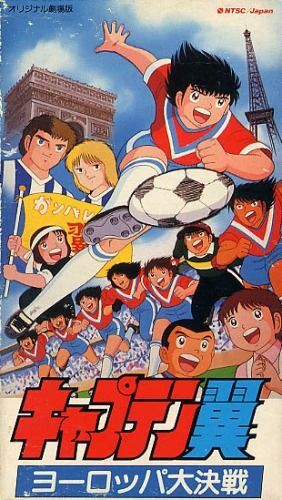 The first Captain Tsubasa movie is about a match between an "All Europe Boy Soccer Team" and an "All Japan Boy Soccer Team" and takes place at the end of the first TV series. When the Japanese team arrives in Europe they meet incredible players with skills and strength they never had to face before. Shortly after the beginning of the match the Tachibana brothers shoot a goal with their "acrobatic soccer", but the Europeans have a supreme organisation and their legendary captain Karl-Heinz Schneider from Germany seems to be undefeatable. 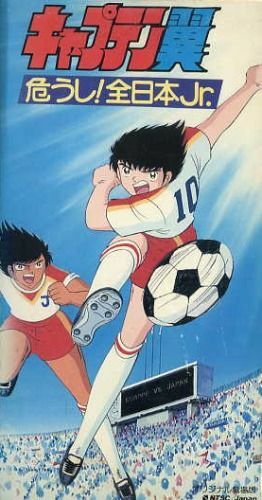 For Wakashimazu is totally overcharged with Schneider, the injured goalkeeper genius Wakabayashi takes his place and manages to stop Schneider's "fire shots". After that Japan finally manages to win the match 3:2. 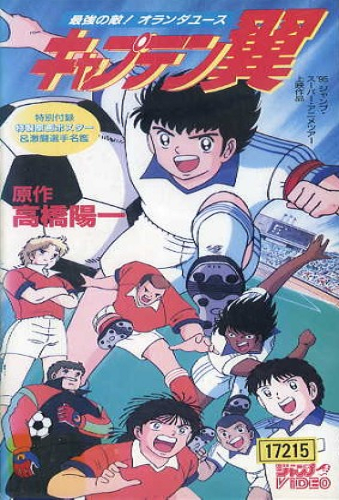 The second movie is about the return match between the All Europe Soccer Team and Japan. At the beginning Hyuga denies to join the team due to his 3. defeat against Nankatsu. He practices hard with Kyra to perfect his Tiger Shot. Misaki can't come and Wakabayashi isn't allowed to play for he normally plays for a German team. With those lacks and Schneider's (the European's captain) improved skills, Tsubasa and the Japanese team have grave problems. Despite the new rules, Schneider finally want's to beat his rival Wakabayashi with his new "illusion shot", thus he injures Wakashimazu and Murisaki (the second and third goal keeper) with brutal face shots until Wakabayashi is finally allowed to play. 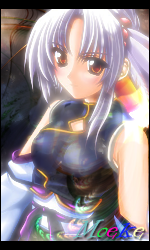 In the course of the match Hyuga manages to perfect his Tiger Shot and joins the team. With those legendary players united and Hyugas new power they manage to defeat their opponent 4:3 in the last minutes. In the third movie, the classical Japan-Europe match becomes intercontinental. This time they arrange a world cup with 4 teams: Japan, USA, "All Europe", and "All South America". In the first match, Japan easily defeats the USA 3:0 and in the second match Europe loses 2:3 against South America. In the final round S.A. shows their "soccer cyborg" Carlos Santana, a more than supreme player who seems to be undefeatable. All their classical tricks like Hyugas "Tiger Shot" or Tsubasas "Top Spin" seem to be totally worthless, but in a hard and spectacular match the Japanese learn more and more to play in unison and finally they get the win. Note: While it is in fact the fourth movie, in some countries this movie was released and named the third movie. 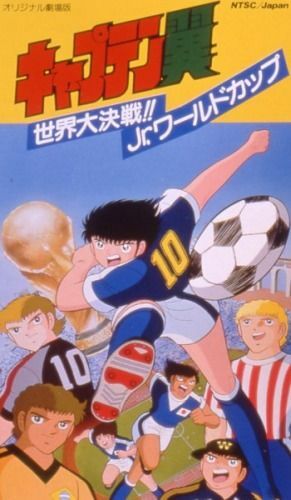 Shin Captain Tsubasa takes place at the U-16 word cup in France. After some friendly matches in Germany, the underdog Japan has to face the world's best teams. Will they make it to the top? 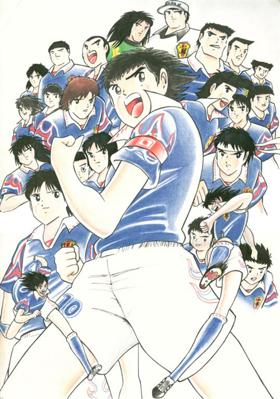 * Based on Takahashi Youichi's sport manga. Última edição por moeke em 18 jul 2016, 22:16, editado 73 vezes no total. Downloaded 36 % and further not is loaded... The whole series was found, except for this film.